The paper presents an exploration of the marketing strategy adopted by formula 1 in its bid to reposition itself at the top as the most preferred sport in the world. The F1 sport has been enjoying leadership in the auto racing sport right from its inception. Many other auto races have been organized over time but they have failed to significantly challenge F1. Most of the auto racing championships that were organized in the 1980s could not continue due to the high costs that are associated with the sport. However, in the last decade, F1 has been confronted with a significant level of dissatisfaction among its fan base as indicated in the 2010 and 2015 F1 global fan surveys. This has seen its ranking drop significantly with competition stiffening and fans demanding more from the Formula One Management (FOM). Even through Formula 1 has not lost its position on top of the auto racing competition that is now shaping up, the sport is faced with changing market needs that has been occasioned by ever evolving technology and changes in tastes and preferences among its existing and potential fans. The technological changes have changed the way of communication and operations significantly and the management of the F1 auto racing sport is obliged to align itself with the changes in the market. This paper therefore presents the marketing strategy that Formula 1 has adopted to enable it retain its position as the market leader in the auto racing competition and continue to be the ultimate source of entertainment to its fans whose expectations have always raised the bar to the F1 sport management. Formula one also referred to Formula 1 or just F1 is officially known as the FIA F1 Championship. The highly ranked auto-racing sport sanctioned by the Federation Internationale de 1’ Automobile (FIA) dates back to 1920-30s in Europe where it emerged from other racing competitions. In 1946, the FIA standardized the racing rules which became the basis of Formula1. The first Formula 1 drivers’ championship was inaugurated in 1950 which was the first world formula 1 series (Williamson, 2017). Thereafter, apart from the world championships, many other non-championships have been held but as the costs of conducting the contests soared high they were discontinued in 1983. The cost of running the sport is high and this has deserved Formula 1 as the most expensive, prestigious and glamorous auto racing sport in the world with the highest TV rating in the world. F1 boasts the best drivers, designers and engineers. The sport currently covers five continents (Williamson, 2017). The F1 auto racing sport has hundreds of millions of fans from diverse backgrounds, demographic and social status and meeting their needs requires a well-thought strategy whose implementation can meet the expectations of the millions of fans of the sport (Lee, Chee, Abdullah & Ali, 2010). The F1 sport season is made up of car races known as Grand Prix (GP) that are held on specially built circuits and in a few incidences on public roads and streets which are closed during the sporting period. Each GP is held in a different country and is named after that country. The number of GPs every year has been varying (Tanaka, 2009). The results of the race are evaluated through points earned to determine the winner of any of its two annual world championships, one for the drivers and the other for constructors. Most of the Formula 1 racing events are held in outskirts of big cities with purpose-built tracks (Tanaka, 2009). Each f1 team comprises of a maximum of two drivers in a race and a number of supporting staff who play a significant role in the success of the team (Tanaka, 2009). The F1 crew is a highly skilled team that is well prepared to take up this auto race where speed and resilience are key elements of winning. Speed and race craft are not the only aspects of the race that can lead to success, a strong technical acumen, supreme fitness and a deep understanding of the car are essential in this sport. The drivers are required to be holders of valid super driving licenses issued by the FIA (Formula 1, 2017). Keeping 800 horsepower in check up to two hours at a speed of over 300km/h coupled with cornering forces that regularly exceed g constitutes attributes that a successful driver should possess although it does not guarantee any driver a win. Nowadays, each team is responsible for designing and constructing its own car, contest the championship organized by the constructor whereby only two drivers qualify to contest for the drivers’ championships. Thereafter, the world champion is crowned after the last event of the season (Formula 1, 2017). 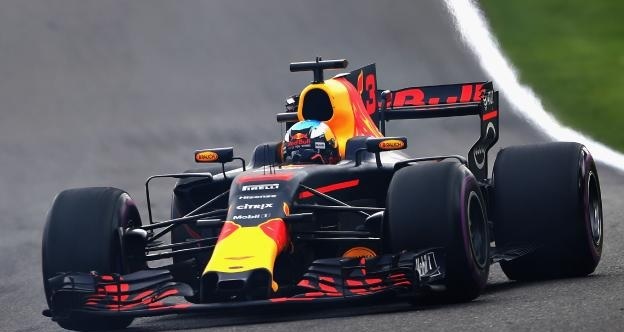 Formula 1 cars are the fastest race course racing cars in the word, an achievement which is attributed to the generation of huge amounts of aerodynamic force. This makes it possible for the car to negotiate corners at a very high speed. The formula 1 cars ca race to a speed of 375 km/h. currently, engine performance has been limited to a maximum of 15000 rpm with lateral acceleration of 6 g forces when negotiating corners (Tovey, 2014). The cost of designing and building mid-tier cars is one of the highest in the world to a tune of $120 million. This has an economic effect and creation of jobs through the high popularity of the sport. This has created a merchandising environment that is marked with huge investments from sponsors with hundreds of millions of dollars for the car constructors. This hype has seen spiraling expenditures with claims of bias in distribution prize money. The sport is accused of favoring established top teams forcing several small teams to bankruptcy (Tovey, 2014). Although Formula 1 has established as the most popular motor sport worldwide, the sport is not popular in the United States of America where NASCAR is rated as the most popular motorsport (Lee et al., 2010). However, from 2010 American drivers have been participating in Formula 1 and soon the F1 auto racing sport will start organizing races in the United States. Formula one is also facing competition from Moto GP which is carried out in a large number of countries mainly in Europe (Williamson, 2017). However, it is important to note that formula one is facing unique competition in each country as it carries out its Grand Prix (GP). Different countries have local motor competitions that compete with the Formula 1 Grand Prix but the large scale and international recognition of Formula 1 has always overshadowed the local auto racing sporting events to remain the most favorable auto sport (Lee et al., 2010). From its symbol, the F1 brand is denoted a powerful symbol of excellence. Formula 1 racing is a combination of fine and distinctive partnerships between sporting and technological excellency, giving fans the best experience that ignites excitement and enjoyment creating a long lasting impression in their minds (Formula 1, 2017). Formula 1 is the pinnacle of motor racing that attracts not only the best drivers, it comprises of the best engineers and designers that are backed by international corporations that have continued to invest in the latest technology enabling F1 to gain a competitive edge (Formula 1, 2017). Formula 1 is the ultimate test of man and machine, pushing the car and the driver to their absolute limits in pursuit of ne simple goal-speed. Speed is the main focus of Formula 1 auto race. The combination of the best driver in the best designed and constructed car brings about the highest level of excellence in Formula 1 auto racing (Formula 1, 2017). The Formula One Management (FOM) carefully selects the companies that are associated with the F1 brand. The FOM engages the best Multichannel Digital TV coverage, has award winning computer online games that bring the fan closer to the action, the F1 has a dedicated website, www.Formula1.com with live timing and race data. F1 engages world leading companies in various fields including financing, telecommunications, fuels, automobile manufacturers and airlines that give special services that have led to the success of the F1 sport (Formula 1, 2017). The F1 auto racing sport is full of events that bring excitement to the fans. Apart from the high speed and tactic exhibited by the drivers, there are other aspects that have been used to bring excitement, these include highly refreshing drinks and the best quality of food by the best food outlets in the world (Formula 1, 2017). In fact, there is no F1 motorsport that event can be considered successful without parading beautiful girls. As fans continue talking about fast cars and the tact of the drivers, at least their eyes can’t help wandering towards the grid girls who have these days become a compulsory accessory for all F1 motor racing events (Lee et al., 2010). Given that Formula one which has over time emerged to be the most popular and expensive sport with millions of fans all over the world has been facing issues which saw its popularity drop significantly fir a few years up to 2015, the FOM has to put in place measures that can reposition it as the pinnacle of auto racing in the world. In adopting an appropriate come back strategy, the FOM had undertaken market research so that it can identify what the fans do not want and what they want so as to improve the sport’s capacity to yield more satisfaction and continue to inspire even a larger portion of the general public to its fan base. Marketing research is essential for formula one has it helps the FOM to explore its market to develop a better understanding of the market situation. Marketing research also helps the Formula One Management to gather information about given phenomenon for instance, the level of satisfaction. The data gathered including trends about the market behavior is then subjected to diagnosis by the help of data analysis techniques to investigate given trends and relationships in the market. The trend exhibited is then used to predict or forecast the various factors affecting the performance of the sport in the market. The predictions will then inform the decisions made by the Formula One Management to reposition the sport as the leading motorsport in the world (Rosenberger & Donahay, 2008). Formula 1 has been carrying out market survey through surveys over the years to establish the level of satisfaction and other aspects that they would like implemented to make the auto racing sport more exciting and satisfying. The findings of the survey are used to make changes that have continued to place the sport at the apex of the auto racing competition in the world (Formula 1, 2017). The following section presents the findings of the most recent fan survey that was used to conduct a market research. The data collected from this survey was analyzed to come up with recommendations that form part of the marketing strategy that will be implemented to make F1 sport great again. The 2017 F1 fan survey attracted young people with 26% of the respondents being less than 25 years of age. The survey showed increased participation of female fans by over 10%. Interestingly, the survey indicated to a sharp increase in fan response from North, Central and South America who have never been part of the F1 fan base before. The survey also indicated to a significant increase of Senior Executive and Professional audience by 20% of the participating sample. Among the competitors of the F1 sport, the survey indicated that motor sport enjoyed significant following of the fans (Global F1 Fan Survey, 2017). The fact that the survey received responses from 194 countries with over 95,000 responses from Europe, 37,000 from America and over 15,000 from the Asian-Pacific continent. This is an indication that the Formula 1 is clearly a global sport (Global F1 Fan Survey, 2017). The 2017 F1 Survey received audience from the youngest fan base ever in the history of the F1 sport. While the survey could not collect responses from fans who are under 16 years, the findings of the survey saw the average of the F1 fan base fall to below 36 years ever since the F1 studies began. Of this young fan base, the Asian-Pacific continent recorded the youngest fan base than Europe and America (Global F1 Fan Survey, 2017). When compared with feedback obtained from previous surveys, the 2015 F1 fan Survey showed that the F1 sport was in a crisis. However, the feedback obtained from the 2017 F1 fan survey indicate that the fans are more optimistic as their key descriptions of their experiences with the sport have significantly improved. In 2017, the findings indicate that the F1 sport is more exciting, competitive and prestigious (Global F1 Fan Survey, 2017). It less boring, corrupt and threatened as indicated in appendix 2. However, the 2017 Global fan Survey feedback has clearly indicated that there is need to work more towards attracting new fans and most importantly to strike a balance between business and sporting interests. There is absolute need to put more effort aimed at maintaining F1’s statues as the motorsport’s pinnacle in terms of drivers, technology and its associated machinery. It is important to note that this wave of optimism is recorded among the young fans all over the world (Global F1 Fan Survey, 2017). TV and dedicated motorsport websites dominate the consumption of F1 among the fans. The use of General Sports websites, newspapers as well as Radios has reduced significantly when compared with the 2015 findings. 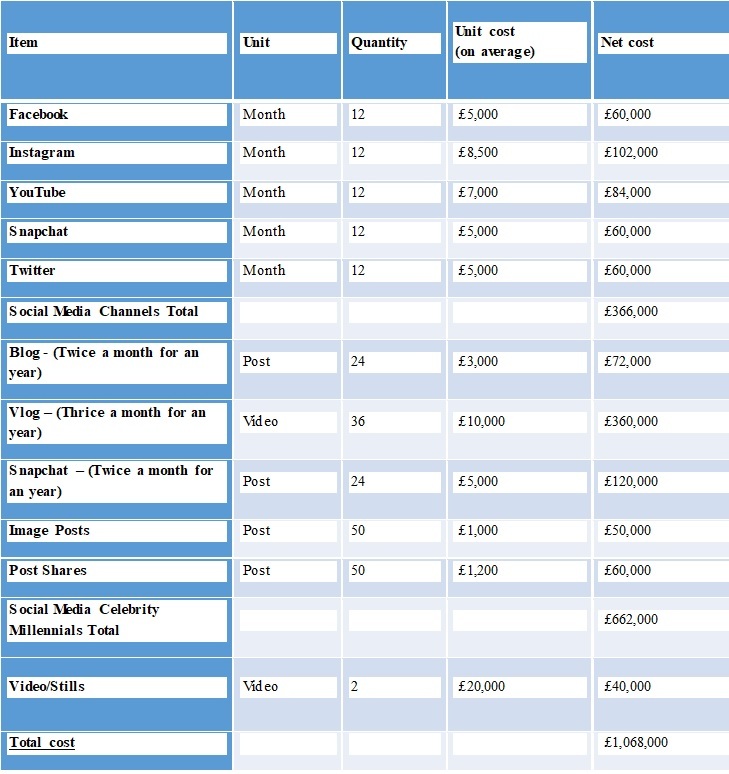 The use of social media is increasing but it is below that of TV as well as sport specialist websites. Over 90% of the fan base wants to watch every race live on TV or stream it live online (Global F1 Fan Survey, 2017). The findings of the F1 2017 fan survey also indicate that the growth of pay TV is reducing the number of fans who can follow F1 live as this service is not readily available to all fans all over the world. As a result, up to 40% of the fans miss races as they are only broadcasted on pay TV. This presents a significant obstacle to viewing due to the impact of pay TV (Global F1 Fan Survey, 2017). Other significant findings for the survey indicate that fans spend an average of $155 on online and event sales. Gaming among the 16-24 year olds rose to over 80%. A significant amount of money was also spent on driver and team merchandise including team and driver caps, polo shirts and replica cars. However, it is important to note that nearly half of the fans bought these merchandise online making it the biggest single sales channel. (Global F1 Fan Survey, 2017). The findings of this survey point to key areas that the FOM should focus and come up appropriate strategies that can improve the ranking of the F1 sport in the world. The findings of the F1 2017 fan survey indicate that a large share of the fan base for the F1 auto racing sport comprises of the young people. Of the total population sample that participated in the survey, over 25% of the respondents were below 25 years of age. This same fan population is seen contributing significantly to online purchase of merchandise with over 80% of this young generation aged 16-24 years being actively engaged in F1 related gaming (Global F1 Fan Survey, 2017). This clearly indicates that the F1 fan base comprises of the young generation otherwise referred to as millennials. This will be the target market for the current strategy that is being crafted for adoption and implementation by the FOM in the next few years. This section presents an exploration of the activities as well as behaviours of the millennials that the F1 Management can capitalize on to tap a significant population of this generation into its fan base all over the world. The findings of the Forbes survey that was carried out in 2017 on online entertainment, over 40% of the millennials tend to play games when surfing online. This generation like watching YouTube videos and generally like surfing online for news, entertainment, games, music and events. They like reading and commenting on blogs and forum posts. Therefore, F1 can target this group to increase the awareness of the port through online adverts as they are bound to get more audience from the millennials who spend a significant portion of their time online. (Global F1 Fan Survey, 2017). Findings of the Smart Insights survey carried out in 2017 indicate that over 99% of the millennials have an account in one or more social media platforms. The survey indicates that 31% of the millennials are in Twitter while Instagram has doubled in terms of millennial users than Facebook since 2013. On average, one such a [[person spends 1 hour 40minutes of each day on social media (Smart Insights, 2017). Due to their heavy usage of social media, targeting the millennials will increase awareness of the F1 sport. Millennials comprises of a young generation born roughly between 1980 and 2000 (Hamill, 2016). This generation was born in the computer era hence called the digital generation. This generation uses digital solutions more frequently and is likely to embrace digital products that will be offered by Formula 1. Competitive strategy is meant to help a business deploy resources at its disposal to achieve and maintain a competitive positional advantage. Competition is gradually shifting from the predominantly physical market place to electronic marketplace (Varadarajan & Yadav, 2002). This evolution has greatly pointed to technological revolution that has changed the means of communication hence interaction between a business and the market. Paralleling these development has led to the concept of e-commerce, e-services and e-customer relationship management etc. As a result, organizations have to change their business models in line with the emerging communication models (Hoffman & Novak, 1996). The concept of electronic marketplace has been facilitated by the internet which is a rapidly growing global computer and communications infrastructure that leads to the emergence computer-mediated environments that serve as electronic markets for buyers and sellers. Bakos (1991) views electronic market place as “an inter-organizational information system that allows participating buyers and sellers to exchange information about prices and product offerings” (p. 296). This view was shared by Barrett & Konsynski (1982) focusing on inter-organizational information systems that links buyers and sellers. However, the term organizational in this sense is restrictive as denotes that the infrastructure created is meant for organizations. In reality, use of consumer controlled access devices such as personal computers and smartphones is on the rise. This gives the electronic market place a more conceptualized and broader meaning implying networked information system that allows the exchange of information about product offers and their respective prices (Varadarajan & Yadav, 2002). In their conceptualization of the electronic marketplace, Varadarajan & Yadav (2002) gave a more comprehensive view of the electronic marketplace terming it as a networked information system that serves as an enabling infrastructure of buyers and sellers that helps them to exchange information, transact and perform other activities that come before, during and after the transaction (P. 297). This conceptualization of the electronic marketplace informs the move by Formula 1 to adopt a more digitized business model that will facilitate communication between the F1 and its fan base before, during and after the various F1 auto races and other events organized by the FOM. Apart from laying strategy that will help F1 to achieve its objectives, authenticity in the marketing strategy is achieved when the FOM communicates its strategy and most importantly follows it with action. By practicing its strategy, the FOM can win over more fans (Stengel, 2011). The strategy should take into consideration different aspects of the lives, character and behaviour of the target audience. The strategy should defeat issue of language barrier and any obstacle of communication that could lock out anybody from enjoying the sport. Even though it is a strategy targeting the young generation, it should be designed in a manner that can seek to accommodate young from diverse cultural backgrounds because F1 is a global sport (Van den Bergh et al., 2014). Millennials are a highly generation that needs to be actively engaged in F1 activities. They spend most of their team posting and commenting in various walls hosted in different social media platforms. They are highly mobile and do not find fun in doing one thing, they are evr on the move. This calls for a strategy that is keeps the millennials on the move (Hamil, 2016). The strategy adopted by the F1 management should be compatible with a variety of media including social media platforms and speciality websites that will enhance interaction between the fans and the management of F1. The sport is favourite among a young generation which uses a variety of digital platforms, there is need to ensure that the strategy allows sufficient flexibility in terms of access so that many fans will be able to interact freely (Hamil, 2016). The strategy adopted should be in a position to clearly communicate the purpose of Formula 1 to the world. The strategy should exhibit a high level of congruence of purpose for it to reposition the brand as a world leader. Most importantly the strategy should help the F1 sport management in achieving balance between business and sport interests. This means that as far as the strategy is targeting to recruit more fans into the F1 sport, it should be mindful of all stakeholders’ interests (Stengel, 2011). Based on the findings of the F1 2017 fan survey it is evident that the young generation forms a large portion of the F1 fan base. Despite a raft of measures put in place by the F1 management to improve the level of satisfaction of its fans, the young generation otherwise referred to as millennials in this strategy paper feels left out. Currently all F1 races are covered in pay TV, general sports websites, newspapers and radio that are not favourite among millennials who are the majority of the F1 fan base. As indicated in the findings of the F1 2017 fan survey, over 40% of the fans miss out on F1 races and key events as they are aired in types of media (pay TV, general sports websites, newspapers and radio) that have lost popularity among the majority of fans. This paper proposes adoption of a more digitized business model with greater emphasis on the use of social media as a key communication tool as this can bring on board the millennials who have continued to miss out on most F1 activities. Adopting a more digital communication strategy will increase awareness of the F1 sport, increase sales of tickets and F1 merchandise by online advertisement, ordering and payment systems which are on the rise, a trend as indicated in the findings of the F1 2017 fan survey. This strategy seeks to gain more awareness, inclusivity and engagement of the millennials in the races and other F1 activities across a wider spectrum of digital media platforms. In this way, the F1 will be in a position to increase its fan base, increase sales, achieve a higher level of satisfaction among its existing fans and most importantly reposition itself as the pinnacle of auto racing in the world. The F1 management should adopt the POEM (Paid Owned and Earned Media) marketing strategy a digital strategy that could integrate all of its activities and communications through the digital platform. POEM is an acronym that describes an integrated and coordinated marketing strategy that constitutes of Paid, Owned and Earned Media. POEM is a reaction of how brands are trying to obtain the attention of consume in the otherwise wildly fragmented online space that has been greatly enhanced by social media (Azarkina et al., 2015). This is often regarded as the traditional advertisement. It includes but it is not limited to displaying adverts, the general public relations exercise, paid search, activity sponsorships, blogs, video adverts and email marketing. It is the primary source of brand information ad awareness creation. According to a survey conducted by Yahoo, 73% of information found information about a brand through paid media. Paid media is fast, controllable, predictable and measurable. The Formula 1 management should place paid adverts of F1 races and other key events in various advertising agents sting including social media platforms. This will ensure that the millennials who spend most of their time in social media platforms (Flores, 2014). This includes activities that a brand or its agents pursues in channels that it controls. Examples include brand owned pages or accounts in online social networks such as Facebook, Twitter, Snapchat, YouTube etc., brochures brand websites, speeches, videos in store etc. these sites provide information who the price, product or service attributes, history of a brand, etc. owned media is important as gives the brand the ability to provide value to the target audience with significant control of the messaging (Stephen and Galak, 2012). In this respect, the Formula 1 management should make effective use of the F1 official website, F1 app and the F1 social media accounts in the various social media platforms to make its communication to the fans. Earned media is a more indirect media that is rather achieved after the consumers have used a brand and are satisfied with it. This includes aspects like online reviews of the brand, news articles on the brand, word of mouth reviews and referrals, adverts shared by friends in Facebook, Twitter and other social media platforms etc. Earned media is viewed as being more credible than the others because it emerged as a result of the correct use the paid and owned media (Hanna, Rohm & Crittenden, 2011). According to the findings of the study carried out by Yahoo/BBDO, the reciprocity, advocacy and transparency are important for any successful brand marketing. The respondents of this study intimated that brands ought to be more genuine, down-to-earth and self-aware. They should be more responsive and empathetic for them to win over more clients (Hanna, Rohm & Crittenden, 2011). For it to enjoy earned media, F1 management should upload honest and reasonable content in various social media accounts and run consistent brand messages through campaigns that are meant to mobilize fans across the world. Its existing royal fan base will pick it up and help in spreading the messages by sharing the posts uploaded by the F1 management in various platforms. It is important to note that the F1 management should handle its social media uploads with sufficient care and caution as any message uploaded in these platforms spreads quickly and any negative information may spread quickly and damage the hard-earned reputation of the brand (Azarkina et al., 2015). F1 marketing team should adopt Flores (2014)’s advice that a brand should try to “truly orchestrate its communication around the customer” by use of both digital and offline media. This requires that the brand creates its own “communication ecosystem” that includes all communications that brand can have with various people through different points of contact referred to as media (Azarkina et al., 2015). Successful POEM marketing strategy can be realized when advertising, marketing and public relations of the brand work in tandem and are powered by valuable and high quality content. Although this strategy may sound lofty, it is strategy that gives even the smallest brands a voice (Azarkina et al., 2015). Therefore, the F1 marketing team should take this strategy and implement it faithfully and urge the top management and its stakeholders to accord it with the necessary support as its benefits will improve the image as well as ranking of the F1 sport in the world by a huge margin. The F1 management should initiate a digital campaign dubbed # campaign in the beginning of F1 races in March 2018. This will be a rigorous campaign that will include posting of various activities in various social media platforms. The # campaign is expected to give the millennials a purpose to watch, participate and get intrigued by the F1 sport. Posting of the various events, activities and messages on social media platforms aims at increasing awareness of F1 in terms of followers and views. Increased awareness will later translate to increased revenue to the F1 sport. At the initial stages of the #campaign, there will be recruitment of social media celebrity millennials from diverse cultural, racial and ethnic background who are differently-abled to blog, vlog, snapchat, post images, share posts etc. in various social media platforms such as Facebook, Instagram, YouTube, Snapchat etc. This strategy also involves recruiting various celebrities to advertise the upcoming #campaign in the mass media. This constitutes of specialized adverts that will feature the uniqueness of F1 by use of reference videos and stills that have been prepared earlier for this purpose. All these activities are expected to make F1 to trend and increase awareness of the sport. The #campaign will also entail a corporate social responsibility aspect whereby fans will be required to upload or post with hash tag ‘#racewithacauseF1’on Twitter, Instagram and Facebook an image showing a person watching the current race. The winners will be randomly selected and rewarded weekly as the #campaign continues. The funds raised through this aspect of the #campaign will be given to the society as donations. The use of social media platforms such as Facebook, Twitter, Instagram and Snapchat which are highly effective in disseminating information within a short period of time without incurring much cost. The F1 fan base is composed of young people who have accounts in one or several social media platforms. A message posted in these social media sites will get the fans easily, quickly and cheaply. The objectives of the campaign will also be found on the F1 website whereby they will be clearly stated. Nowadays, communication through the website has grown its popularity as people search for information online now than ever. Positing the objectives in the F1 website will significantly increase awareness among the fans. This is an important indication of the popularity of the brand. A higher number of shares indicates that the strategy was effective in its bid to place F1 as the most popular motor sport in the world. A lower number of shares indicates otherwise calling for investigation to determine what went wrong for appropriate measures to be instituted again. The overall aim of the POEM marketing strategy adopted by the Formula 1 marketing team was to increase the fan base of the F1 sport. The effectiveness of this strategy will be indicated by the number of new fans that have signed into the sport fan base. The desirable number will be objectively projected at the beginning of the campaign and the number of fans measured at the end of the exercise, the difference in numbers will give the number of fans that the strategy yielded to the F1 sport. Any deviation from the projected figures will thereafter be investigated and appropriate action taken to achieve the desired result. This works in the same way as the number of shares in the various social media platforms. However, the number of mentions should be studied to determine whether the brand is being mentioned severally for the right or wrong reasons. If the brand is being mentioned in a negative way, appropriate measures should be taken to safeguard the brand image. A higher number of inbound visitors to the F1 website indicates that many people are looking for information about the sport. This indicator should also be fine-tuned to include the nature of enquiries that are being made by the visitors to the F1 website. Narrowing down to the nature of enquires is important in helping the F1 sport management to respond to such enquires and in the process increase the level of customer satisfaction. Number of conversations resulting from social media traffic created by the campaign. This works in the same manner as the number of shares and mentions of the F1 sport in social media platforms. However, caution should be taken to ensure that the conversations in social media platforms are healthy and are not driven by ill motives as this may spread quickly and damage the image of the brand. The key timelines for the above strategy have been shared in appendix 1 and the budget of the strategy above is attached as appendix 3. Bradley, C. (2017). Global fan insight into the world’s largest annual sporting series (2005–2017). The Fans’ Report. 1 (1), p1-p50. Hamill, A. (2016) Creating Content for Millenials: The VICE Playbook, Mumbrella360, Event Reports, June. Pickton, David and Amanda Broderick (2005): Integrated Marketing Communications, 2nd edition, Prentice Hall; Harlow, London, New York, etc. Stengel, J. (2011) Grow: How Ideals Power Growth and Profit at the World’s Greatest Companies, Crown Business. Van den Bergh, J., Alders, P., Boullart, A. and Van Bijnen, M. (2014) Getting close to youth: Understanding millenials’ themes of life to create Gen-Y-proof brands, ESOMAR, Conference papers, Qualitative, November.